A well-known island fruit also known as a seed and a nut, the coconut and its oil and milk are becoming increasingly sought after for their medicinal and milk-substitute purposes. 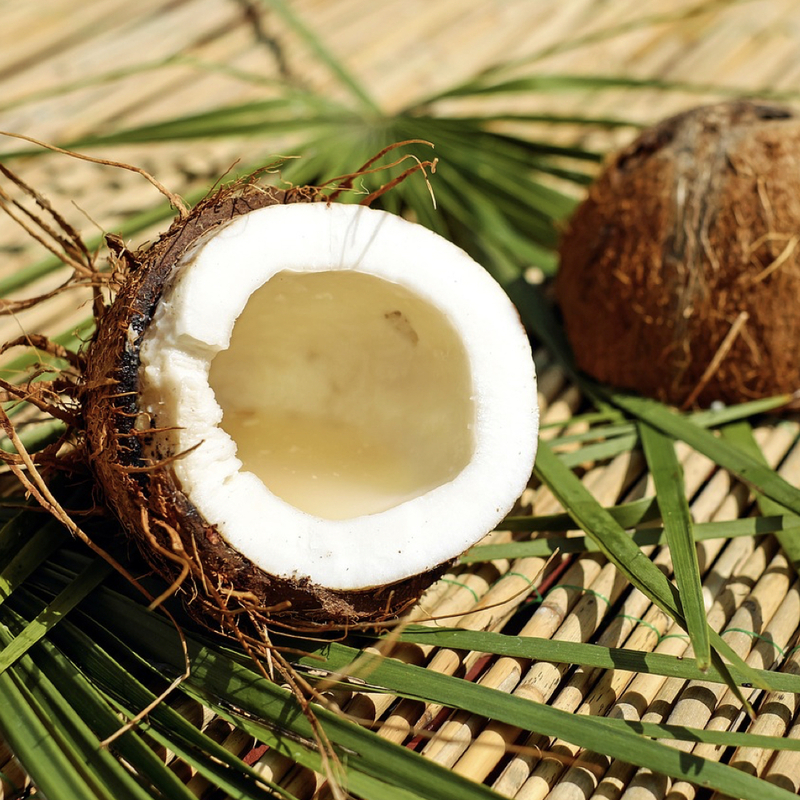 Unfortunately, coconut is one of the few plant sources high in saturated fat. Coconut oil may be as harmful as butter in affecting cholesterol levels. The best available evidence is that coconut oil increases our bad cholesterol levels. Rich in MCFAs (medium-chain fatty acids), coconut milk may negatively affect arterial function — as much as an Egg McMuffin at McDonalds. Yet based on studies of Malaysians, whose diets are rich in coconuts, consumption of coconut flakes may be harmless to the body and may even be beneficial. What are the benefits of coconuts? As a whole plant food, coconuts appear to be harmless for consumption. But Americans mainly consume coconuts in the form of oil, milk, and dried coconut flakes. Coconut water is not part of the actual plant itself, but is rather the fluid inside the fruit and may have its own benefits. Coconut water is so close to the composition of human plasma that in an emergency, coconut water may be used intravenously. Coconut oil has been claimed to treat everything from cancer — due to its anti-inflammatory properties — to jock itch, because it is high in caprylic acid, which may help to stop fungal infections. Like other nuts, coconuts are high in omega-3s, which appear to reduce inflammation. Coconut oil and coconut milk should be avoided or consumed sparingly, and coconut flakes appear to be acceptable to eat as a whole plant food.